County Councillor Tony Winder said “The aim of the grant application was to bring the community together and promote village activities. 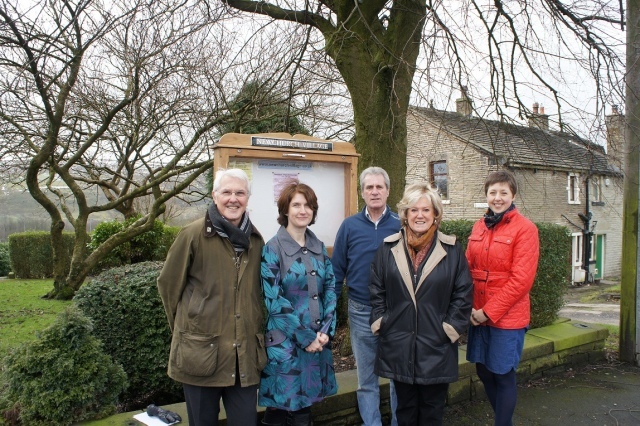 Part of this grant funding was used to create a new noticeboard to highlight local events and activities. The board has been lovingly crafted from oak by local resident Geoff Heaton and installed into the community garden on Church Street. In addition to this, the grant funding has been used to buy hundreds of colourful spring bulbs which are already starting to grow”.